Most Agent will always say you should stage your house. I agree. If you call cleaning up and making your house as presentable as possible. I disagree if you think that you must spend thousands upon thousands of dollars to bring in new furniture and redo you’re whole house. Some people cannot afford it. That is the plain truth about it. Some people are selling their house because they need to for financial reasons. Stagers want to be paid up front in most cases. If Real Estate Agents were to be paid up front and not later, most people would either not sell their house or sell on their own all together. Another Scenario is an investor buying a condo or new townhouse for investment purposes. Sometimes the investor has spent their entire budget on investing in the property and there is no money left to stage anything. In some cases I have seen investors stage properties themselves with their own furniture for a period. Sellers also must take into consideration, some people like to see open spaces when buying a property, they like to imagine their own furniture there, or their own decorations. Some people have that gift. Some do not, and that is where the staging is essential. Stagers are wonderful in what they can do for an empty home or a home that is outdated. Redoing the whole house can bring in thousands of dollars because the house will look modern, taken care of, and will bring in the impression that the house is more high end and worth the extra money. Some buyers also will take into account that the house has been staged and that will physiologically say to them, this house is worth more money because if they care enough about presentation, they will care enough and took care of the house. 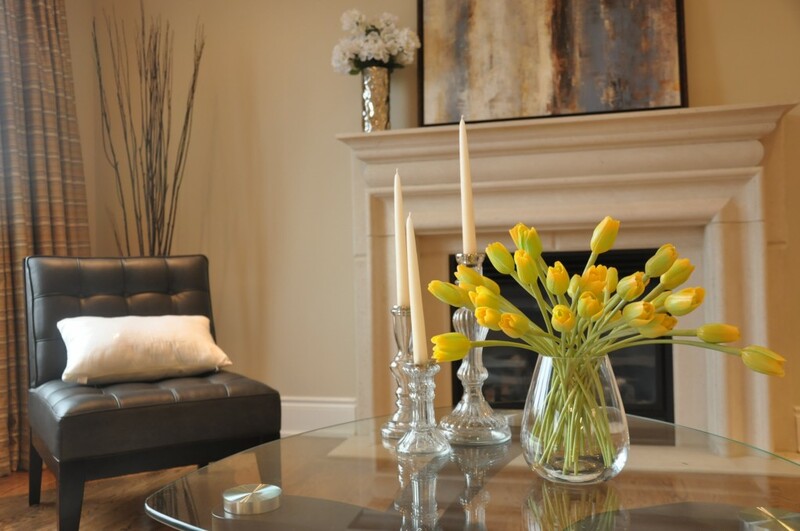 If you cannot afford staging, you can do it yourself. Like do it yourself Real Estate agents. Like I said before, what is your time worth, and you might still have to buy or rent furniture, bring it in yourself, etc. You might not be able to do that, depending on the condition of your house. Time is money and what is your time worth. If you have time and man power than maybe you could pull it off. My advice is to look at the clutter in your house first. All family pictures need to go, go to Bath and Body works and get stuff for the bathrooms, new towels, candles. In most cases you need to define areas, to show people how the space can be used. Go buy new sheets for the beds that are modern, and curtains and curtain rods. Clean as much as you can. Get your carpets professionally cleaned if you can, if not rent a machine. Get rid of all the crap that is on top of your tables and counters. Make sure you can see a shine in your hardwood, counters and appliances. Clean the inside of you fridge and stove, yes people will look in. Clean and organize your closets. For the outside, get a landscaper to come in and trim the bushes and clear the leaves and cut the grass. Power wash the cement, and driveway. Get new grass if need be. Another option, is to get a plan of action from a stager if you cannot afford the full service. It might cost you a few hundred dollars and you can take it from there. Also please don’t think if an agent is giving you free staging you are not paying for it, it is incorporated into their fees somehow. Nobody can do staging for nothing. Everything costs something. Whether its in the fees or you pay up front. So to answer your question, should I get staging? The answer is yes if you can afford it, It is worth it, in the end, but there are things you can do yourself as well if you can’t afford it.